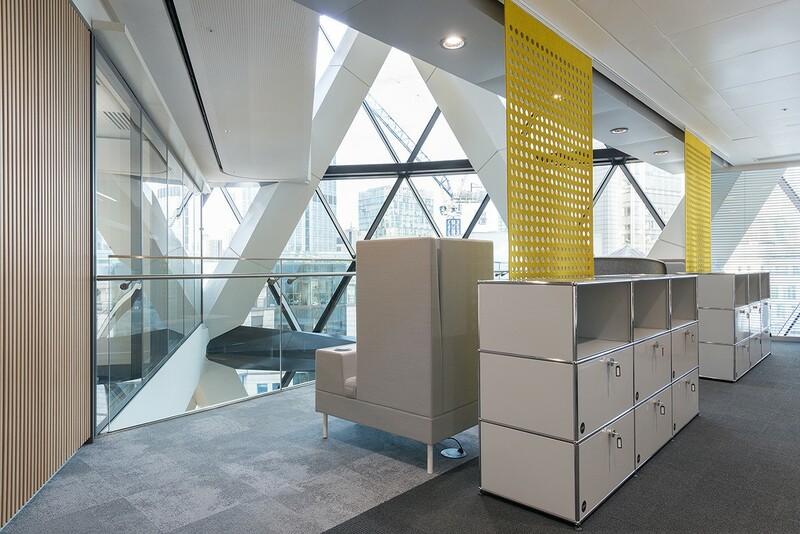 In the iconic ‘Gherkin’ building in London’s financial district, Circle Hanging Panels help define space, provide sun shading, plus add needed privacy with the building’s unique floor plates and expansive windows. 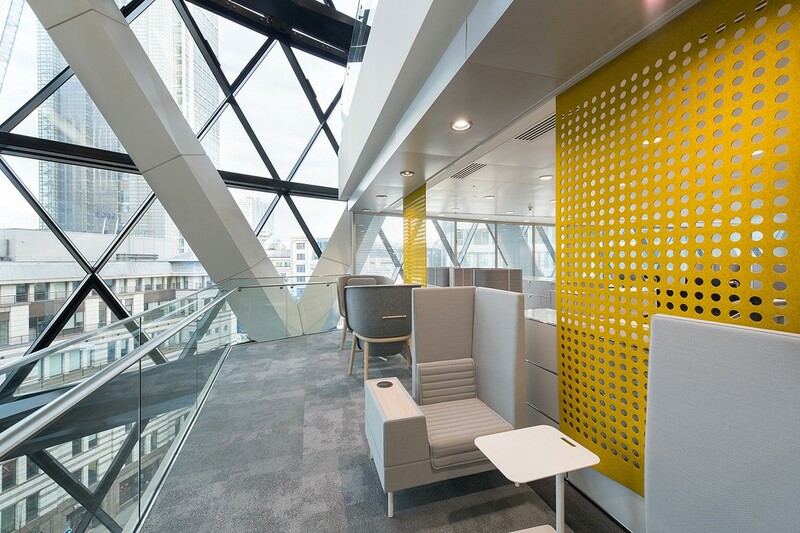 The Hanging Panels in a soft heathered yellow add a pop of color to the subtle palette while providing flexible space delineation with the use of the Hanging Panel Track System. For more information on the products featured, please visit Circle Hanging Panel and Hanging Panel Track System.